Dr. Susan Loeb from Penn State University presented on the development of computer-based learning modules for caregivers of the aged and dying in prisons at the 31st Annual Scientific Sessions of the Eastern Nursing Research Society (ENRS) held in Providence, RI on April 3-5, 2019. This research is being conducted with Klein Buendel Senior Scientist, Dr. Valerie Myers, a co-author on the presentation. More men and women are aging and facing end-of-life (EOL) while incarcerated. Early research by this research team found that computer-based training for inmates assisting staff in geriatric and EOL care was feasible. This collaborative team of nurse scientists, small business partners, and the correctional community are working to advance the quality of care provided for those aging and dying in our nations’ correctional institutions. Specifically, the purpose of the research presented at ENRS was to identify inmate peer caregiver training needs, and discover priority content areas and core values for inmate computer-based modules with the help of stakeholders and experts. Six focus groups were conducted with stakeholders at one men’s and one women’s state correctional institution in a Mid-Atlantic state. Stakeholders included information technology and human resources staff, interdisciplinary front line staff who oversee inmate peer caregivers, and inmate peer caregivers. A content analysis identified content areas and core values. An Advisory Board of experts in EOL and geriatric care, corrections health, and corrections training, suggested combining some of the priority content areas. 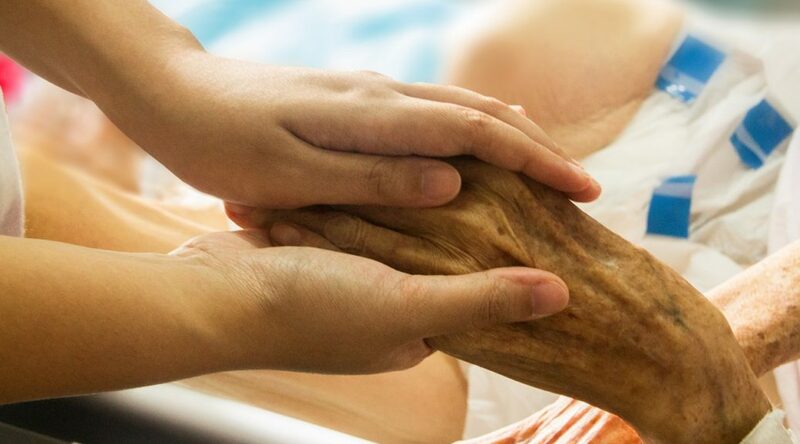 The resulting priority content areas for the initial Inmates Care modules were Universal Precautions, Role of the Inmate Caregiver in the Final Hours, and Loss and Grief. The core values identified for the inmates training were respect, dignity, and compassion. The next steps of the research project include completing three prototype modules, testing them for usability, and developing a specifications document for technology programming and production congruent with correctional facility security precautions. This research was funded by a Small Business Technology Transfer (STTR) grant to Klein Buendel from the National Institute on Aging at the National Institutes of Health (AG057239; Dr. Susan Loeb, Principal Investigator) and Dr. Valerie Myers, Co-Investigator. Additional collaborators on the work presented at the conference include Dr. Erin Kitt-Lewis, Dr. Rachel Wion, and Julie Murphy from the Penn State University College of Nursing, and Tiffany Jerrod and Morgan Carter from Klein Buendel. The technology-based modules are being developed by the Creative Team at Klein Buendel.